June | 2014 | Everything I Learned From My Sled Dogs And More! 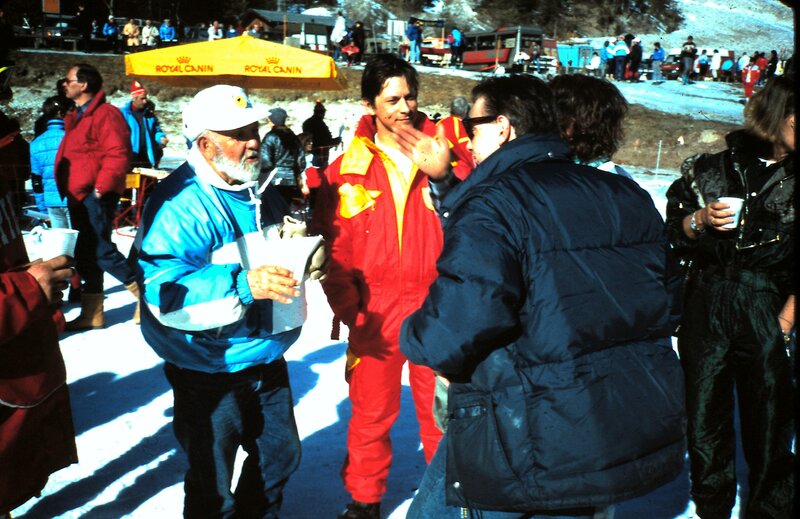 Dolomiti, 1989. The race started outside Dobbiaco and finished here beside a lake halfway to Cortina. Within the first km of the start the trail went under a railroad bridge then immediately was to take a right turn. But someone at that point was directing teams to the left down the valley heading toward the Austrian border and Lienz. The first 9 or 10 teams following Kathy Swenson, who was the overall leader and first out, were misdirected. Finally Kathy realized we were on the wrong trail and turned around, calling out to each musher she met on the way back to return to the fatal intersection. Ararad Katchikian won that day but the final results for the year were probably not affected. Kathy Swenson winner.